Poll: Will you go to a big summer gig? 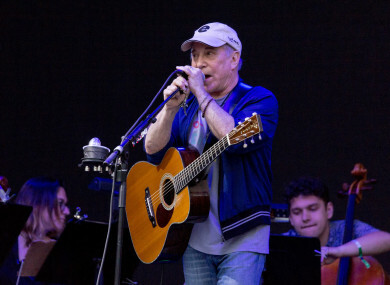 PAUL SIMON IS playing the RDS, Elton John’s farewell tour tickets go on sale tomorrow – there are rumours of a rather big rock band playing Croke Park on 17 May. There are plenty of big summer gigs coming to Ireland this year. Do you plan on going to any of them? Email “Poll: Will you go to a big summer gig?”. Feedback on “Poll: Will you go to a big summer gig?”.